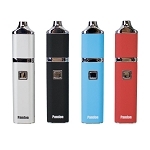 The Puffco Peak is a cutting-edge portable rig style unit for concentrates that combines the easy to use convenience of a pen style vaporizer with powerful desktop performance. 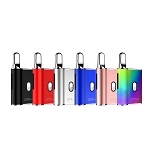 Not only does this device perform well, it also offers a classy and luxurious appearance to match. 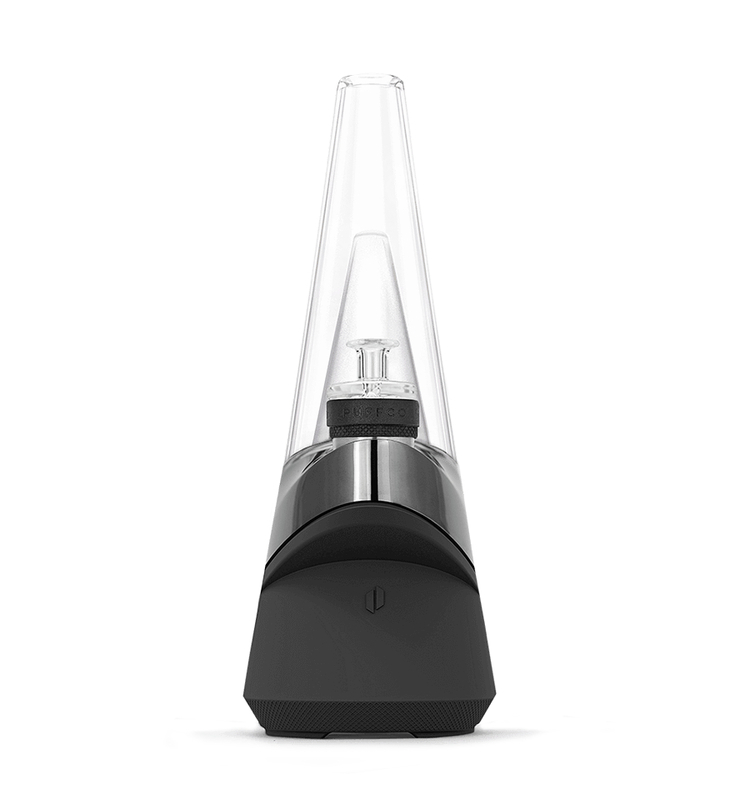 Right away you notice the high quality hand blown glass water filtration attachment, beneath it you have the Peak's durable housing with flashy metallic appearance. 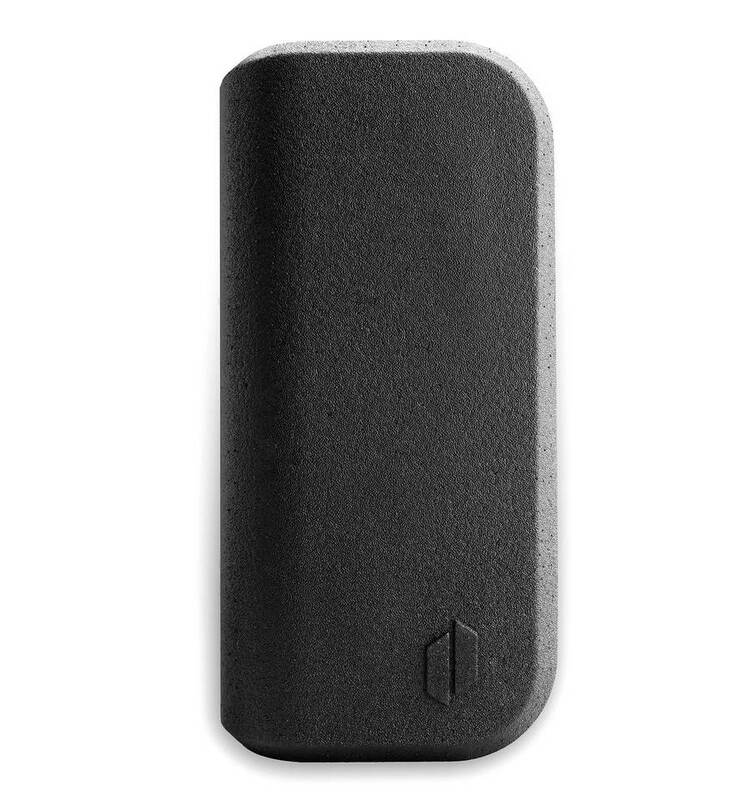 The base of the peak sports a sleek black silicone exterior and it is made to be bottom heavy so it won't be easily tipped over. 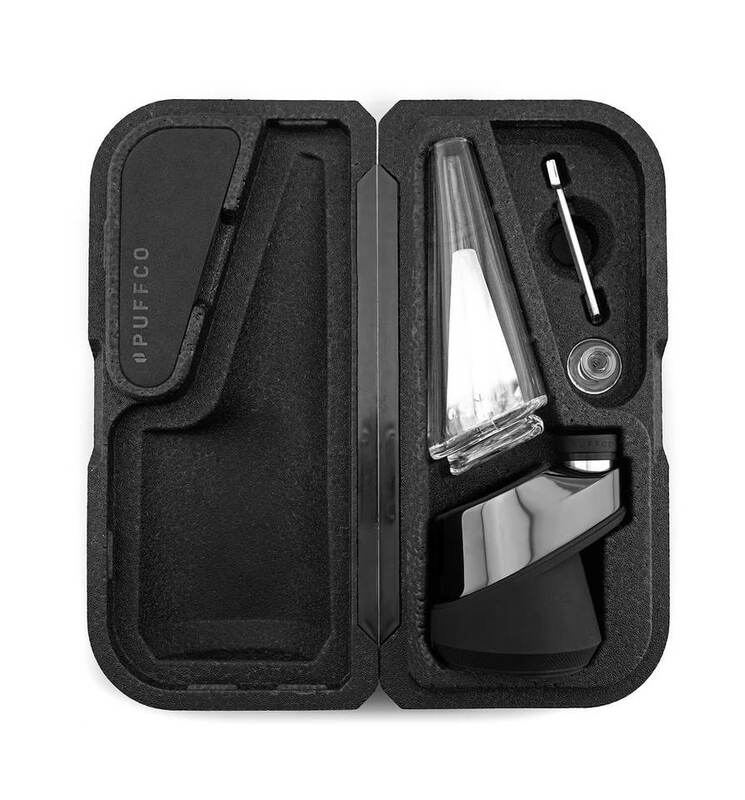 Puffco equipped the Peak Smart Rig with four preset temperature settings that have been optimized for the widest range of concentrates. Using the single control button you can quickly toggle through the output levels with each change being shown by the color LED indicator wrapped around the Peak's housing. Ranging from 400-600°F the Peak has just the setting for you, whether you're after clouds, flavor, big or small sessions this thing has you covered. It utilizes a removable ceramic heating dish that is 100% food grade and extremely easy to clean. After you select your desired temperature setting pressing the control button two more times will begin the heat cycle. When this happens the advanced ceramic chamber will reach your heat setting in just 20-25 seconds, depending on the temp you've selected. Forget about waiting for up to 5 minutes at a time for your traditional rig style setups to heat, in that time you can fill your Peak, finish a session and pack it all away while still having time to spare. Each time a cycle begins or finishes their is an innovative vibration notification system that will constantly keep you in the loop. If you're session is about to end but you're not ready to pack it away just yet, press the control button two more times to keep the element heated for an extended period of time, perfect for social sessions. 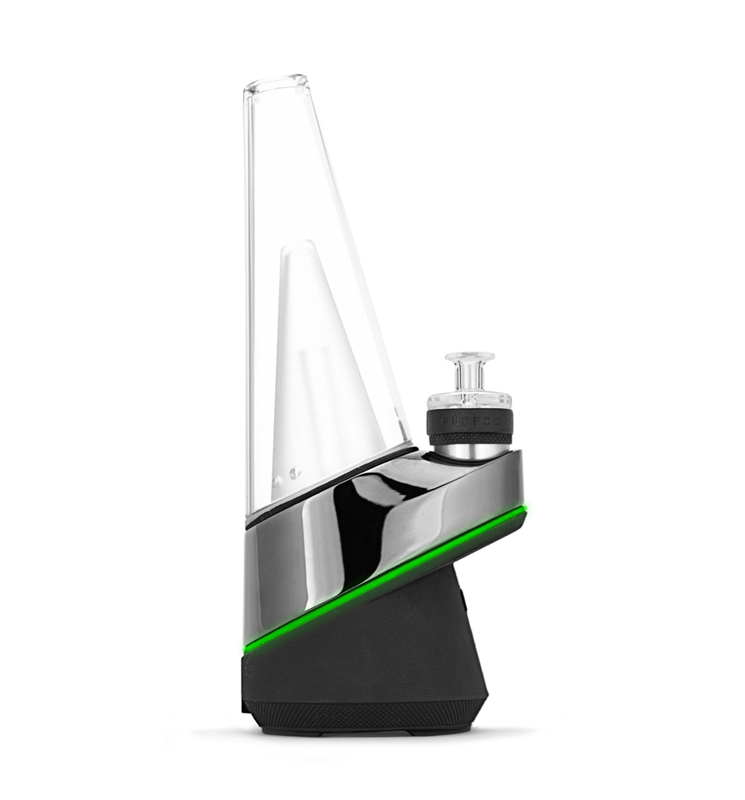 Inside every Peak vaporizer there is a premium lithium-ion battery that will provide around 30 uses on each charge. To condition the battery for an overall longer lifespan it is important to give it a full charge before your first use. Connect to included USB super charger and you will be ready to go in just about 2 hours.